Indoor painting at Connecticut House Painters we are a professional painting company serving New London County Connecticut with indoor painting Services whether you have your home that you want to get painted or a business office or church we are the best choice to paint your indoor dwelling. Look no further if you're looking for a true professional painter who has the skills and ability to deliver the best wall painting and wall covering for your interior walls possible, whether you want to paint your kitchen your pantry, or if you want to paint your living room or dining room, or if you want to paint your whole house. We are the best choice we also are great for painting children's bedrooms or a master bedrooms or even a guest bedroom. 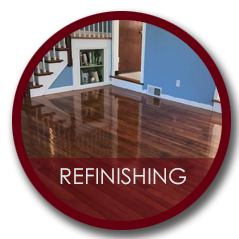 We can make your living space complete with our professional painting service. We also offer free paint estimates and consultation on color's, we can help you choose the best colors to fit your needs call us today for your indoor painting needs we are the pros that you can count on. We are for our indoor painting two customers in the area of New London County and Middlesex County Connecticut some of the places we serve are Pawcatuck Connecticut, Stonington Connecticut, Mystic CT, historic Mystic Connecticut, Noank Connecticut CT, Groton CT, Ledyard CT, Gales Ferry CT, New London CT, Quaker Hill CT, Waterford CT, Niantic CT, East Lyme CT, Old Lyme CT, Lyme CT, Old Saybrook CT, Essex CT, Clinton CT, and much more call us today don't hesitate we can help you get your painting project up and going.